Ron, Chicki and I live close to the river, and spend most of our recreational time near it shores. But sometimes a change is in order, and a few weeks ago we chose to drive further, and took Chicki to the seaside. 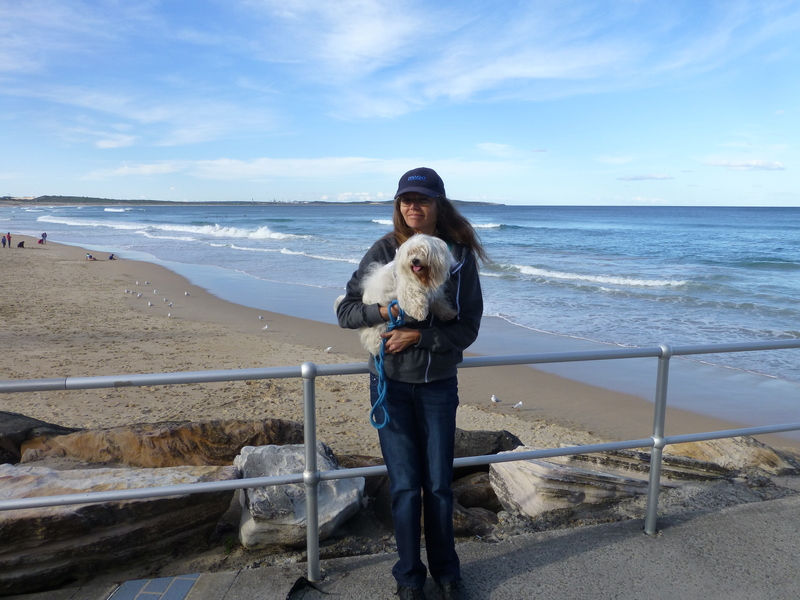 Chicki and me at the seaside. Dogs aren’t allowed on this beach, but nevertheless they’re quite welcome on the promenade. Chicki came nose-to-nose with many friendly canines. She saw the waves as they came crashing in. She heard their roar. And best of all, she smelled the salty sea!